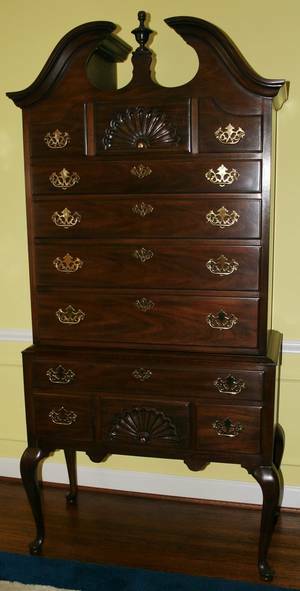 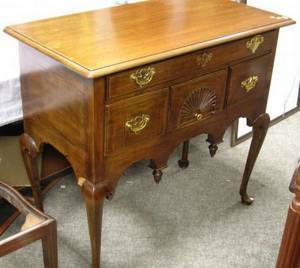 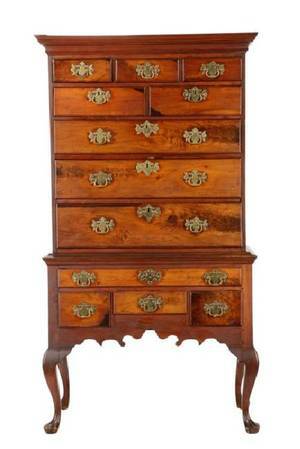 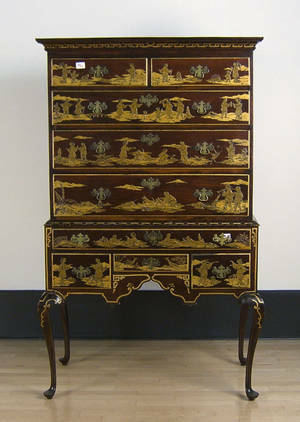 Queen Anne mahogany highboy, ca. 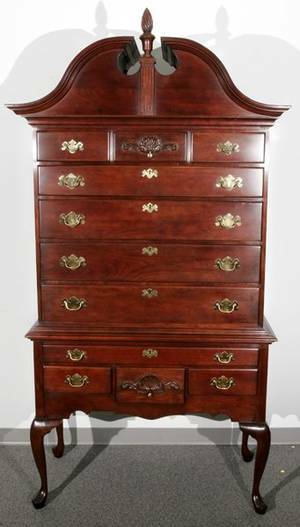 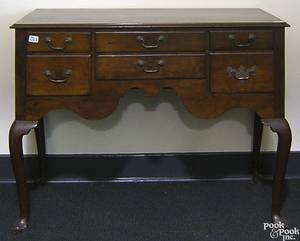 1760, 64 1/2" h., 37 1/2" w.
American Queen Anne Mahogany Highboy, 18th C.
Queen Anne Mahogany Highboy Base. 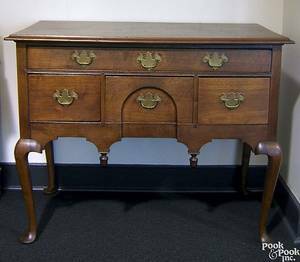 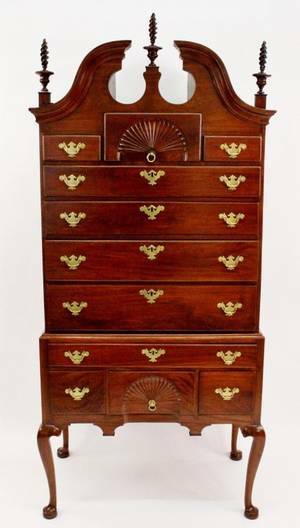 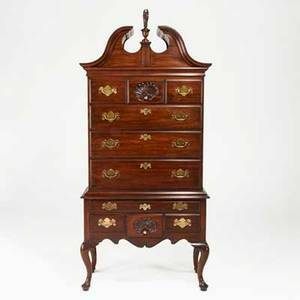 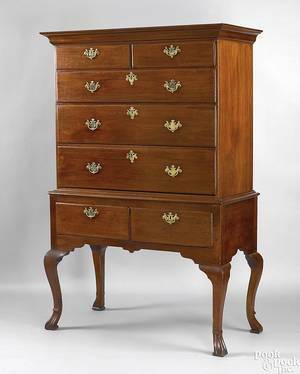 Henkel harris; virginia galleries; three-piece mahogany queen anne style highboy with bonnet top and shell-carved drawers, late 20th c.; 89 1/2"" x 41 1/2"" x 21""
011358: DREXEL QUEEN ANNE MAHOGANY HIGHBOY, H85.5"